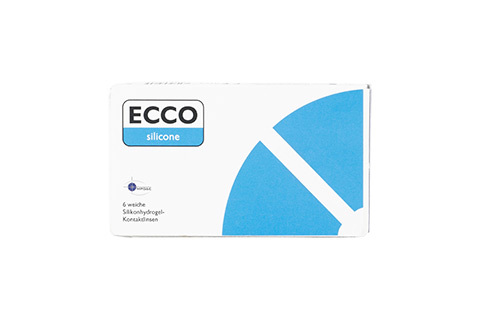 Ecco Silicone Comfort T monthly disposable contact lenses offer adequate hydration and comfort in a practical, versatile lens. Lenses last one month and are discarded, making them a convenient choice for a busy lifestyle. The wearersimply inserts a fresh pair of lenses which will last for 30 days. Ecco Silicone Comfort T monthly disposable contact lenses offer a moisturecontent of 46% and diameter of 14.2 mm, with a base curve of 8.6. These lenses ensure good moisture and comfort levels within the eye increasing visual acuity and clarity. Lenses are chosen to suit the level of correction required for each eye. Contact lenses may be obtainedfrom an online optician using a simple ordering process and online registration. This enables ordering and delivery of your favourite contact lens via DHL delivery. Discounts are available when ordering two or more packages from Mister Spex.